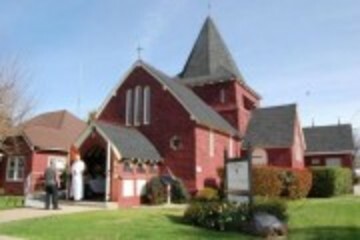 Welcome to St. Peter's Episcopal Church ! St. Peter's welcomes all who seek a spiritual home and worship Jesus Christ in our mission to love and serve God, nurture one another in Christian love, worship, work, learn and pray together, and to minister the Lord's love to all people. The people of St. Peter's believe the meaning of life is grounded in a vital relationship with God. We understand the spiritual journey to be a life-long process of conversion, discipline, renewal and deepening commitment, and we trust that the Spirit of God is at work in every aspect of that journey. We strive to be a caring church family, providing both spiritual and practical support to our members. 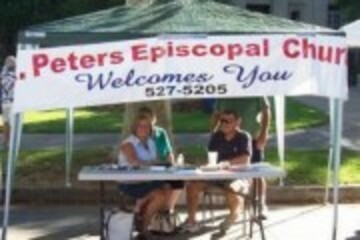 St. Pet er's is a congregation of the Episcopal Church USA, which is part of the worldwide Anglican Communion, a fellowship of independent churches in thirty-eight countries around the globe, all descended from The Church of England. In our approach toward other people, toward other faith traditions, and toward controversial issues, Episcopalians seek to be broad rather than narrow, inclusive rather than exclusive, making room for one another within a community of faith and supporting one another in our individual faith journeys. Worship is central to our life as a community of faith. We strive to make our services at once reverent, beautiful and spiritually authentic. Our worship is liturgical – that is, a dialog between the worship leader and the congregation. Expressing our continuing connection with the two-thousand year history of Christian worship, we celebrate a rich calendar of feasts and holy days, many of them going back to the early centuries of the Church. 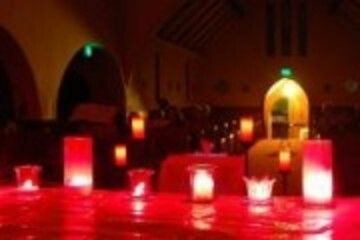 Worship at St. Peter's incorporates the senses as well as the mind and spirit, with candles, flowers, music thereby enhancing the sacred space of the church and creating an atmosphere of reverence. Silence is also an important part of our worship, as we join in the current movement to revive the contemplative element of Christianity. Scripture (the Bible), in which people of faith recorded, reflected upon and responded to God’s message to the human family – a message of love, justice and redemption for all people. Reason, God’s gift to humanity by which we may reflect on our lives, our experience and our world and, from that reflection, discern truth. Tradition of the church as it has come down and developed from the time of the earliest Christians. 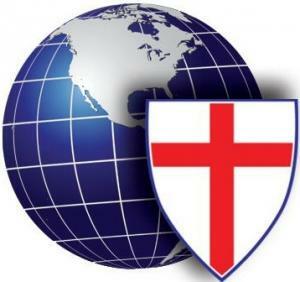 Our name “Episcopal” comes from the system of oversight in our communion: the ultimate authorities in the church are bishops (“episcopal” comes from the Greek word for bishop), although decisions are made by both clergy and elected lay representatives. Our local clergy, both men and women, are either priests or deacons. Priests, as in all the historic Christian churches, serve as our pastors and are ordained to preach, celebrate Holy Communion, and pronounce God’s forgiveness through a formal act called “absolution.” Deacons focus on practical service to congregations and their wider communities. Believing that every member of our church family has God-given gifts to be offered for the benefit of all, we also make extensive use of lay leaders in our worship and work. 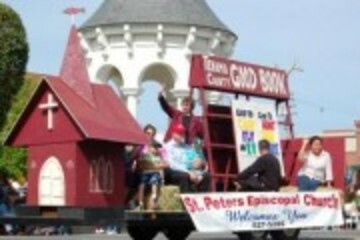 Whether you are a one-time visitor or are seeking a permanent church home, St. Peter's Episcopal Church welcomes you and we hope that you will visit us soon! 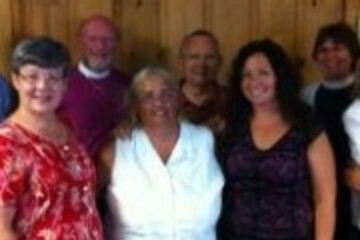 Alcoholics Anonymous - Parish Hall - "Attitudes in Action Group"